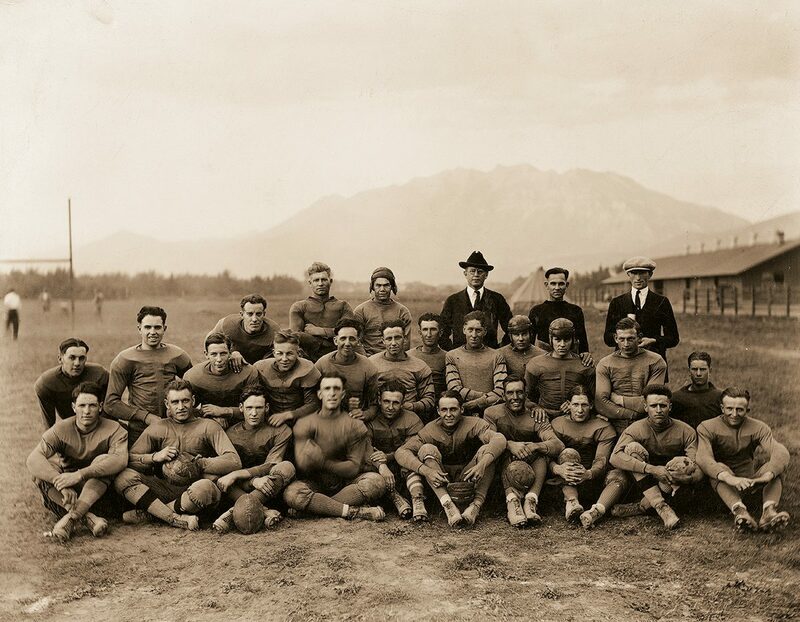 After mustering only 3 points in 3 losses to fellow Rocky Mountain Conference foes Utah State, Utah, and the Colorado Mines, BYU football claimed its first official win as a university team on Nov. 11, 1922, against Wyoming. One touchdown on a muddy field, located where the Joseph Smith Building stands today, secured the victory over the Cowboys; the game was the high point of the Cougars’ 1–5 inaugural season. 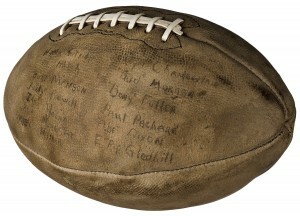 The football from the historic first victory, etched by the players and Coach Alvin Twitchell, was recovered during a recent Smith Fieldhouse renovation and is now on display in Legacy Hall. This story is part of a comprehensive history of BYU football now available in a collectible scrapbook-style book—BYU Football Vault—written by associate athletic director D. Duff Tittle (BA ’90).